will never be a perfect mathematician. 1890 Joseph Jean Camille Pérès (31 Oct 1890 in Clermont-Ferrand, France, 12 Feb 1962 in Paris, France) Pérès' work on analysis and mechanics was always influenced by Volterra, extending results of Volterra's on integral equations. His work in this area is now of relatively little importance since perhaps even for its day it was somewhat old fashioned. 1935 Ronald Lewis Graham (born October 31, 1935) is a mathematician credited by the American Mathematical Society as being "one of the principal architects of the rapid development worldwide of discrete mathematics in recent years". He has done important work in scheduling theory, computational geometry, Ramsey theory, and quasi-randomness. Graham was also featured in Ripley's Believe It or Not for being not only "one of the world's foremost mathematicians", but also "a highly skilled trampolinist and juggler", and past president of the International Jugglers' Association. He is currently the Chief Scientist at the California Institute for Telecommunications and Information Technology (also known as Cal-(IT)2) and the Irwin and Joan Jacobs Professor in Computer Science and Engineering at the University of California, San Diego. *Wik My current favorite Graham quote is, "An ideal math talk should contain one proof and one joke and they should not be the same." The 303rd day of the year; there are 303 different bipartite graphs with 8 vertices. *What's Special About This Number Web site. 1710 William Whiston, whom Newton had arranged to succeeded him as Lucasian Professor at Cambridge in 1701, was deprived of the chair and driven from Cambridge for his unorthodox religious views. Whiston was removed from his position at Cambridge, and denied membership in the Royal Society for his “heretical” views. He took the “wrong” side in the battle between Arianism (a unitarian view) and the Trinitarian view, but his brilliance still made the public attend to his proclamations. When he predicted the end of the world by a collision with a comet in October 16th of 1736 the Archbishop of Canterbury had to issue a denial to calm the panic (VFR put it this way, "it is not acceptable to be a unitarian at the College of the Whole and Undivided Trinity". His translation of the works of Flavius Josephus may have contained a version of the famous Josephus Problem, and in 1702 Whiston's Euclid discusses the classic problem of the Rope Round the Earth, (if one foot of additional length is added, how high will the rope be). I am not sure of the dimensions in Whiston's problem, and would welcome input, I have searched the book and can not find the problem in it, but David Singmaster has said it is there, and he is not an easy source to reject. It is said that Ludwig Wittgenstein was fascinated by the problem and used to pose it to students regularly. 1992 The Vatican announced that a 13-year investigation into the Catholic Church’s condemnation of Galileo in 1633 will come to an end and that Galileo was right: The Copernican Theory, in which the Earth moves around the Sun, is correct and they erred in condemning Galileo. *New York Times for 31 October 1992. 1906 Andrei Nikolaevich Tikhonov (30 Oct 1906 in Gzhatska, Smolensk, Russia - November 8, 1993, Moscow) Tikhonov's work led from topology to functional analysis with his famous fixed point theorem for continuous maps from convex compact subsets of locally convex topological spaces in 1935. These results are of importance in both topology and functional analysis and were applied by Tikhonov to solve problems in mathematical physics. The extremely deep investigations of Tikhonov into a number of general problems in mathematical physics grew out of his interest in geophysics and electrodynamics. Thus, his research on the Earth's crust lead to investigations on well-posed Cauchy problems for parabolic equations and to the construction of a method for solving general functional equations of Volterra type. Tikhonov's work on mathematical physics continued throughout the 1940s and he was awarded the State Prize for this work in 1953. However, in 1948 he began to study a new type of problem when he considered the behaviour of the solutions of systems of equations with a small parameter in the term with the highest derivative. After a series of fundamental papers introducing the topic, the work was carried on by his students. 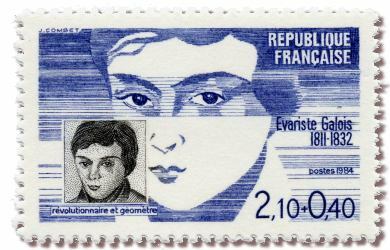 Another area in which Tikhonov made fundamental contributions was that of computational mathematics. Under his guidance many algorithms for the solution of various problems of electrodynamics, geophysics, plasma physics, gas dynamics, ... and other branches of the natural sciences were evolved and put into practice. ... One of the most outstanding achievemnets in computational mathematics is the theory of homogeneous difference schemes, which Tikhonov developed in collaboration with Samarskii. 1805 Ormbsy MacKnight Mitchel (July 20, 1805 – October 30, 1862) American astronomer and major general in the American Civil War. A multi-talented man, he was also an attorney, surveyor, and publisher. He is notable for publishing the first magazine in the United States devoted to astronomy. Known in the Union Army as "Old Stars", he is best known for ordering the raid that became famous as the Great Locomotive Chase during the Civil War. He was a classmate of Robert E. Lee and Joseph E. Johnston at West Point where he stayed as assistant professor of mathematics for three years after graduation. The 302nd day of the year; There are 302 ways to play the first three moves in checkers. In these same pages he will write examples of the integrals of x2 and x3,and then illustrate that a constant multiple may be taken outside the integral as shown in the image below. On the left is Liebniz integral sign with a vincula in place of todays parentheses to show that he is integrating the quantity (a/b) l Then the open bottomed box is Liebniz symbol for equality,then he shows the constant (a/b) multiplied by the integral of l .
1931 Gabriel Xavier Paul Koenigs (17 January 1858 Toulouse, France – 29 October 1931 Paris, France) was a French mathematician who worked on analysis and geometry. He was elected as Secretary General of the Executive Committee of the International Mathematical Union after the first world war, and used his position to exclude countries with whom France had been at war from the mathematical congresses. 1957 Only three weeks after Sputnik went into space, young Denis Cox in Victoria, Australia sent a design for a spaceship addressed, "TO A TOP SCIENTIST AT Woomera ROCKET RANGE South Australia." His design included locations for Austalian Insignia, four Rolls Royce Engines, guided missiles, etc, but advised the scientists, "YOU PUT IN OTHER DETAILS". The letter can be seen here at the Letters of Note web site Edited by Shaun Usher. On September 24, 2009, an article on ABC Australia's web page indicated that "The Defence Science Technology Organisation is now finally organising a letter from rocket scientists in response to the letter." 1880 Michele Cipolla (born 28 October 1880 in Palermo; died 7 September 1947 in Palermo) was an Italian mathematician, mainly specializing in number theory. It is the duty of every true Muslim, man and woman, to strive after knowledge. The 300th day of the year; 300 is a triangular number, the sum of the integers from 1 to 24. 300 is also the sum of a pair of twin primes (149 + 151). It is also the sum of ten consecutive primes, 300 = 13 + 17 + 19 + 23 + 29 + 31 + 37 + 41 + 43 + 47. The ARPANET, predecessor of the modern Internet, was set up by the Department of Defense Advanced Research Projects Agency (DARPA). Initially it had linked four sites in California and Utah, and later was expanded to cover research centers across the country. 2011 EPL (Europhysics Letters) went beyond Earthly limits by publishing its first ever paper submitted from space: a landmark for both European and physics-based research. Concerned with the properties of complex plasma in almost zero gravity conditions, the paper represents collaborative research of 29 individual missions performed over the last 10 years by German and Russian researchers aboard the International Space Station (ISS). 1678 Pierre Rémond de Montmort (27 Oct 1678 in Paris, France, 7 Oct 1719 in Paris, France) was a French mathematician who wrote an important work on probability. Montmort's reputation was made by his book on probability Essay d'analyse sur les jeux de hazard which appeared in 1708. The book, which is a collection of combinatorial problems, is a systematic study of games of chance and shows that there is important mathematics in this area. Montmort collaborated with Nicolaus(I) Bernoulli and he was also a friend of Taylor. At a time of high feelings in the Newton-Leibniz controversy it says a lot for Montmort that he could be friends with followers of both camps. In addition to those mentioned above, Montmort corresponded with Craig, Halley, Hermann and Poleni. 1798 Heinrich Ferdinand Scherk (27 Oct 1798 in Poznań, Poland - 4 Oct 1885 in Bremen, Germany) was a mathematician born in what is now Poland who discovered an important example of a minimal surface. Scherk discovered the third non-trivial examples of a minimal surface which appeared in his paper Bemerkungen über die kleinste Fläche innerhalb gegebener Grenzen published in Crelle's Journal. The first two examples, the catenoid and the helicoid (also called the screw surface), had been found by the Frenchman Jean Baptiste Marie Meusnier in 1776. The catenoid arises from rotating the catenary curve about a horizontal line. Scherk's result was certainly seen as a major breakthough and brought him considerable fame; two surfaces, Scherk's First Surface and Scherk's Second Surface, as they are named today, are studied in the paper. Scherk's doubly periodic surface is the first example of a complete, embedded, doubly periodic minimal surface. His minimal surfaces have recently been the basis of sculptures by the American artist Brent Collins who has based many of his works on Scherk's second minimal surface. The 299th day of the year; If a cubic cake was cut with 12 straight cuts, it can produce a maximum of 299 pieces.... a good day to "let 'em eat cake." 1960 Saga, a silent shoot-em-up Western playlet made on the TX-0 computer, was run on CBS' special for MIT's 100th anniversary. The TX-0 was the first general purpose transistorized computer. The program for Saga comprised 4,096 words of magnetic core storage. The 13,000 lines of code choreographed the movements of each object. A line of direction was written for each action, even if it went wrong. This led to the high point of the show where sheriff put his gun in the holster of the robber resulting in a never ending loop. Unfortunately what is little recognized is that the most worthwhile scientific books are those in which the author clearly indicates what he does not know; for an author most hurts his readers by concealing difficulties.t. The 298th day of the year; If you multiply 298 by (298 + 3) you get a palindromic number, 89,698. Can every number be similarly adjusted to make a palindrome? 1881 Clerk Seaton writes to the chairman of the committee on the census that he has discovered a paradox with the apportionment. Seaton had discovered the Alabama Paradox. "Representatives and direct taxes shall be apportioned among the several States which may be included within this Union, according to their respective numbers, ... The number of Representatives shall not exceed one for every thirty thousand, but each State shall have at least one Representative ..."
It may have seemed easy, but for the 200+ years of US government, the question of "Who gets how many?" continues to perplex and promote controversy. When congress discussed mathematical methods of applying this constitutional directive there were two methods of prime consideration, Jefferson's method, and Hamilton's method. Congress selected Hamilton's method and in the first use of the Presidential veto (make a note of this for extra points in History or Government class) President Washington rejected the bill. Congress submitted and passed another bill using Jefferson's method. The method used has changed frequently over the years with a method by Daniel Webster adopted in 1842, (the original 65 Representatives had grown to 223) and then replaced with Hamilton's method in 1852 (234 Representatives). In a strange "Only in America" moment in 1872, the congress reapportioned without actually adopting an official method and some analysis suggest that the difference caused Rutherford Hayes to Win instead of Samuel Tilden who would have won had Hamilton's method been used. Since 1931 the US House has had 435 Representatives with the brief exception of when Alaska and Hawaii became states. Then there was a temporary addition of one seat for each until the new apportionment after the 1960 Census. In 1941 the Huntington-Hill Method was adopted and has remained in continuous (and contentious) use ever since. After the 1880 census, C. W. Seaton, chief clerk of the U. S. Census Office, computed apportionments for all House sizes between 275 and 350, and discovered that Alabama would get 8 seats with a House size of 299 but only 7 with a House size of 300. In general the term Alabama paradox refers to any apportionment scenario where increasing the total number of items would decrease one of the shares. They also show a nice example (with small numbers) so you might check their site. 2011 Scientists in California and Sweden have solved a 250-year-old mystery — a coded manuscript written by a secret society. The University of Southern California announced Tuesday, Oct 25th, that researchers had broken the Copiale Cipher — the writing used in a 105-page 18th century document from Germany. They used a statistical computer program to decipher part of the manuscript, which was found in East Berlin after the Cold War and is now in a private collection. Now it is quite clear to me that there are no solid spheres in the heavens, and those that have been devised by authors to save the appearances, exist only in their imagination, for the purpose of permitting the mind to conceive the motion which the heavenly bodies trace in their courses. 1676 Newton summarized the stage of development of his method in the “Epistola posterior,” which he sent to Oldenburg to transmit to Leibniz. *VFR (see Oct 26, 1676) This may be the first time Newton used irrational exponents in communication to others. It is one of the earlier uses by anyone. In the letter to Oldenburg, Newton he remarks that Leibniz had developed a number of methods, one of which was new to him. 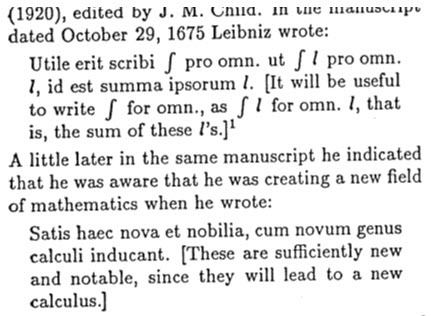 1826 Abel wrote Holmboe his impressions of continental mathematics and mathematicians. Upon reaching Paris from Berlin, he worked on what would be called the Paris Treatise that he submitted to the Academy in October 1826. In this memoir, Abel obtained among other things, an important addition theorem for algebraic integrals. It is also in this treatise that we see the first occurence of the concept of the genus of an algebraic function. Cauchy and Legendre were appointed referees of this memoir. In Paris, Abel was disappointed to find little interest in his work, which he had saved for the Academy. He wrote to Holmboe, “I showed the treatise to Mr. Cauchy, but he scarcely deigned to glance at it." 1989 “Welcome to the White House on this glorious fall day. I’m sorry if I’m just a little bit late. I was sitting in there trying to solve a few quadratic equations. [Laughter] Somewhat more difficult than balancing the budget, I might say. And then I thought it might be appropriate to have a moment of silence in memory of those substitute teachers back home. [Laughter].” Remarks by President George Bush (the elder) at the Presentation Ceremony for the Presidential Awards for Excellence in Science and Math Teaching. 1632 Antonie van Leeuwenhoek (24 Oct 1632; 26 Aug 1723.) Dutch microscopist who was the first to observe bacteria and protozoa. His researches on lower animals refuted the doctrine of spontaneous generation, and his observations helped lay the foundations for the sciences of bacteriology and protozoology. *TIS "The 31th of May, I perceived in the same water more of those Animals, as also some that were somewhat bigger. And I imagine, that [ten hundred thousand] of these little Creatures do not equal an ordinary grain of Sand in bigness: And comparing them with a Cheese-mite (which may be seen to move with the naked eye) I make the proportion of one of these small Water-creatures to a Cheese-mite, to be like that of a Bee to a Horse: For, the circumference of one of these little Animals in water, is not so big as the thickness of a hair in a Cheese-mite. " was a German mathematician. His mother was Julie Reinhold and his father was Justus Christian Felix Seidel. 1601 Tycho Brahe died. Kepler inherited his vast accurate collection of astronomical data. He used this to derive his laws of planetary motion. *VFR In 1901, on the three hundredth anniversary of his death, the bodies of Tycho Brahe and his wife Kirstine were exhumed in Prague. They had been embalmed and were in remarkably good condition, but the astronomer’s artificial nose was missing, apparently filched by someone after his death. It had been made for him in gold and silver when his original nose was sliced off in a duel he fought in his youth at Rostock University after a quarrel over some obscure mathematical point. He always carried a small box of glue in his pocket for use when the new nose became wobbly. Tycho Brahe was famous for the most accurate and precise observations achieved by any astronomer before the invention of the telescope. Born to an aristocratic family in Denmark in 1546, he was one of twin boys – the other twin was still-born – and while still a baby Tycho was stolen from his parents by a rich, childless uncle, who paid for his education and sent him to Leipzig University to study law. His imagination had been fired, however, by a total eclipse of the sun in 1560 and he was determined to be an astronomer. He found that the existing tables recording the positions of planets and stars were wildly inaccurate and dedicated himself to correcting them. *History Today Was Tycho Murdered? Read an excellent blog on "The crazy life and crazier death of Tycho Brahe, history’s strangest astronomer". 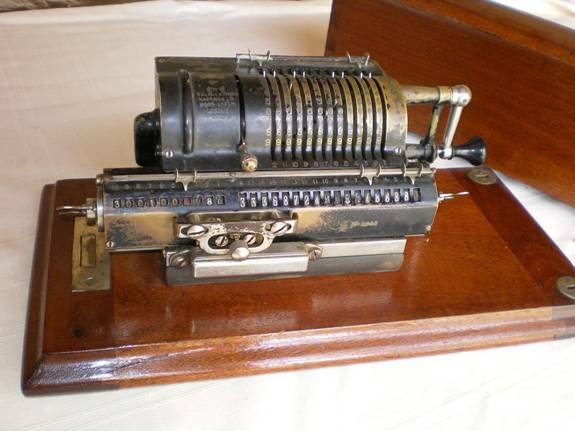 Schickard's machine could perform basic arithmetic operations on integer inputs. 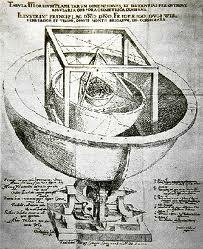 His letters to Kepler explain the application of his "calculating clock" to the computation of astronomical tables. He was a friend of Kepler and did copperplate engravings for Kepler's Harmonice Mundi. He built the first calculating machine in 1623, but it was destroyed in a fire in the workshop in 1624.